This volume considers the most recent demands for justice within the international system, examining how such aspirations often conflict with norms of state sovereignty and non-intervention. The creation of the International Criminal Court and US opposition. 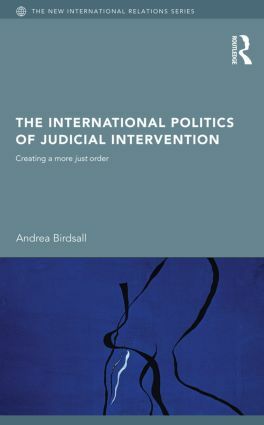 The International Politics of Judicial Intervention will be of interest to students and scholars of International Relations, Human Rights and International Law.